We support over 300 technology enhanced auditoriums, lecture halls, classrooms, laboratories, and meeting rooms throughout campus. TEC rooms are enhanced with a projector and screen, DVD/VHS players, audio system, and Internet connectivity. Many rooms have additional options such as a dedicated computer, microphone, document camera, Smart Board, as well as program specific audio/visual educational technologies. These enhancments allow faculty and staff to incorporate a wide variety of rich teaching materials into their presentations and lectures. To learn more about technology enhanced classrooms please contact Bruce Jeppesen at 216-687-2475. 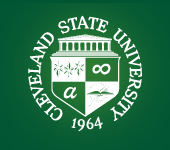 © 2019 Cleveland State University | 2121 Euclid Avenue, Cleveland, OH 44115-2214 | (216) 687-2000. The Cleveland State University is an equal opportunity educator and employer.